New Delhi, February 11: On Samarpan Diwas, which is being observed by the BJP on February 11, party leaders have urged workers and supporters to donate (any amount) for the building of a New India. The amount can be paid through the Narendra Modi app. it can be anything from Rs 5 to Rs1000. The BJP is of the opinion that this step is necessary in order to bring transparency, accountability & honesty in political funding. Samarpan Diwas is observed to commemorate the contributions of BJP's founder leader Pandit Deen Dayal Upadhyaya on his Punyatithi. Meanwhile, several party leaders have taken to Twitter to share their contribution and urged the Karyakartas to do the same. Prime Minister Narendra Modi today paid homage to Pandit Deen Dayal Upadhyaya on his death anniversary and used the occasion to donate Rs 1000 to the party fund underlining the point that the Late leader always laid emphasis on ‘honesty’ in public life. 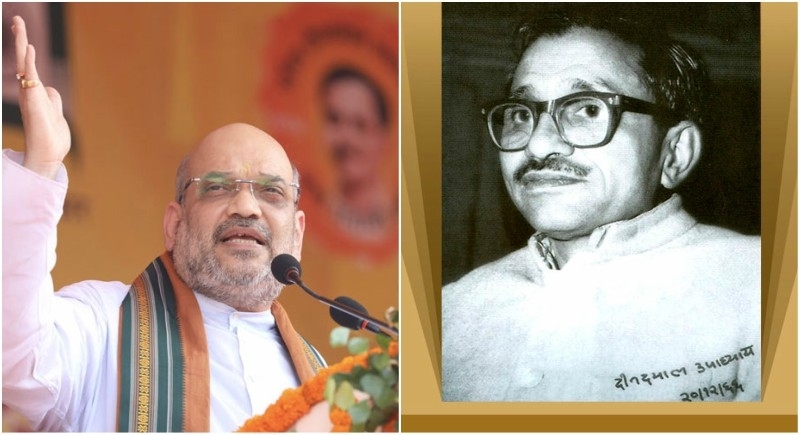 Party president Amit Shah while addressing the occasion of Samarpan Diwas said that Deendayalji has created a party that is not a base leader but a party activist and organization. He had conceived of a party that did not adopt ‘ochhe Hathakande’ to win the election, but won the election based on the acceptance of ideology and the Power of the organization.